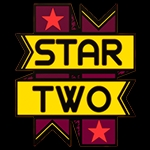 Buy StarTwo a Coffee. ko-fi.com/startwo - Ko-fi ❤️ Where creators get paid by fans, with a 'Buy Me a Coffee' button. The art of ✦StarTwo✦ - a creative duo. “In this ocean of stars we found each other, and that’s why we are StarTwo” StarTwo is a duo created by Sara Ferreira and Gisela Martins, two Portuguese gals who love to concept and draw. Our areas of expertise include Illustration, Concept Art, Storyboarding, Comics/Manga and we also give Workshops. We're always deeply focused on making our creations feel alive and sometimes mysterious and reflect our emotions, and sense of humor. Because we're two, we offer two different perspectives to our work and that is one of the secrets of what we do. Secured Payments. Support goes to StarTwo's account. Upgrade StarTwo to a yearly Gold Membership with a one-time payment.